Happy Thursday! Hope you are all having a great week. The week just flies by when its a bank holiday doesn’t it!? 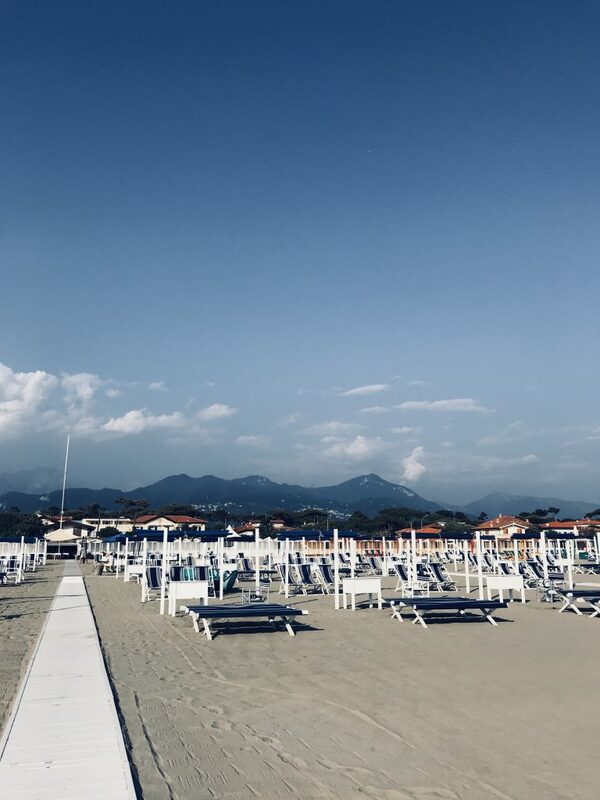 So I wanted to do a blog post straight away about Forte Dei Marmi because I just fell totally in love with the place. But my post doesn’t include that many photos as hopefully you have seen lots on my stories over on Instagram! I love Italy its always amazing – we have been to many spots in Italy over the years – Capri, Puglia, Rome, Venice as well as Bologna as my sister in law has the most beautiful summer house there, and we are off to Positano in a few weeks – but I have to say Forte had something really special about it. I was initially supposed to go to Ibiza for the bank holiday weekend with my husband and the girls but my husband had a stag party and so I decided to have a girls weekend instead with my mother and the girls. I haven’t been on holiday with my mother for a while and it was such a bonding experience. 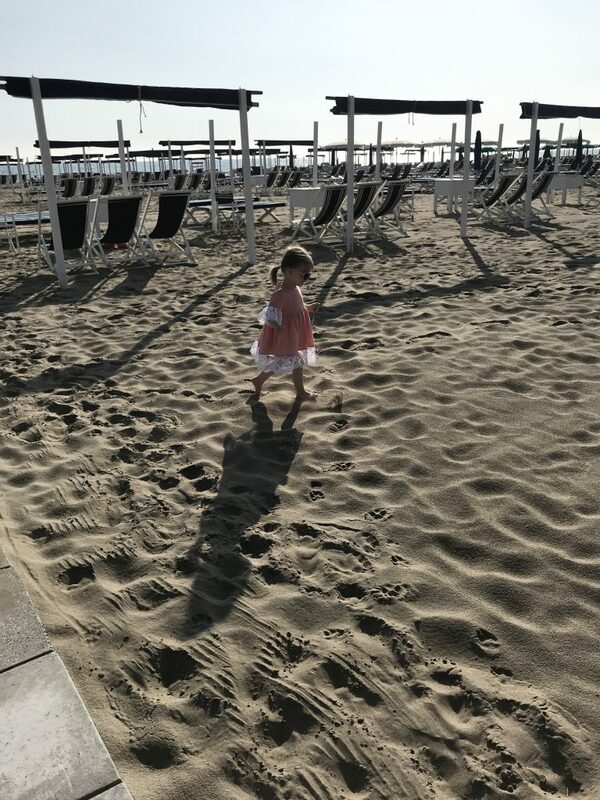 And Forte Dei Marmi is the perfect spot with kids! So first of all why did I love it so much? It is one of the most charming places I have visited in a while. 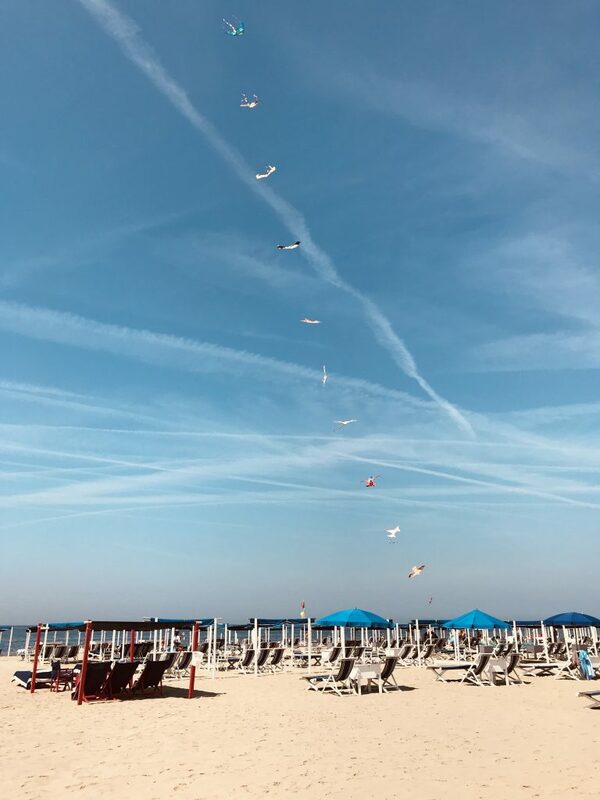 It is old school Italian – we went off season but from what I hear especially from my sister-in-law who is Italian is that it is full of Italians. So not super touristy. Not that there is anything wrong with that – I love places like Capri even in high season but it somehow just felt SO authentic. 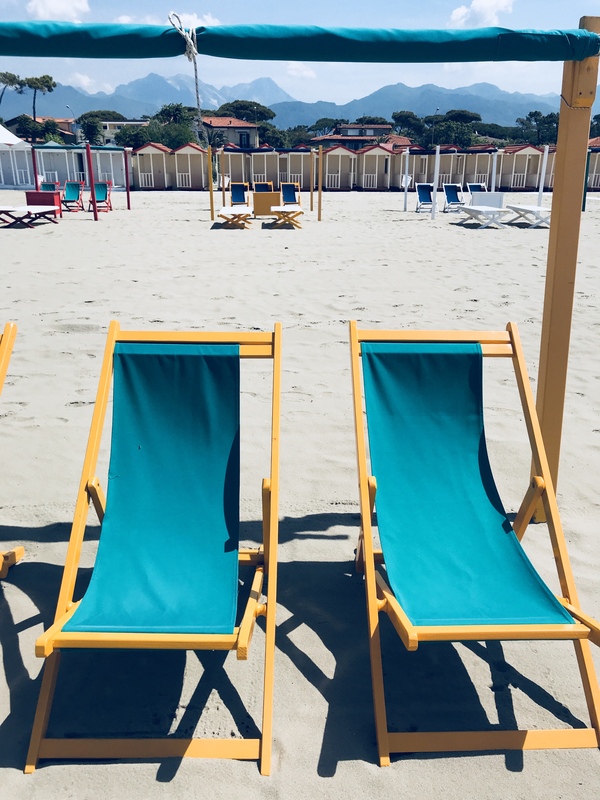 Its 30 mins from Pisa airport so easy to get to. You get bikes from most hotels and ride around on them everywhere you go. Kids included. I didn’t feel like Anoushka was quite ready to get on a bike seat lol but Mila absolutely LOVED it. We would ride around together everywhere (whilst my super hands on mother pushed Anoushka in her pushchair!) and sing nursery rhymes together. I almost felt like a kid myself. You have the mountains behind you as a backdrop so its so beautiful wherever you look. 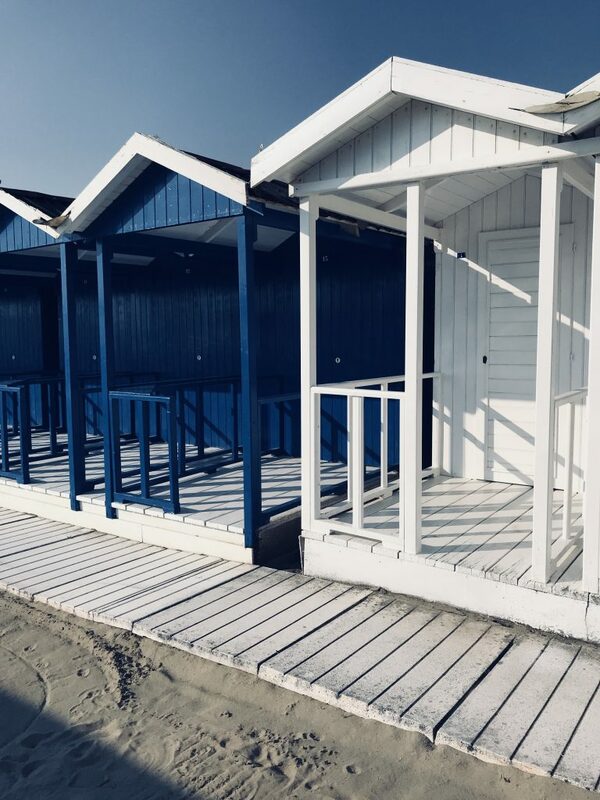 The beach clubs are amazing – super pretty but not really flashy like how they are for example in St. Tropez (we are going there too this summer we used to go a lot but haven’t been for 3 years.) And I just loved everything about how it looked – the pretty colourful beach huts, flowers everywhere, the pastel coloured houses. And the food OMG the food! 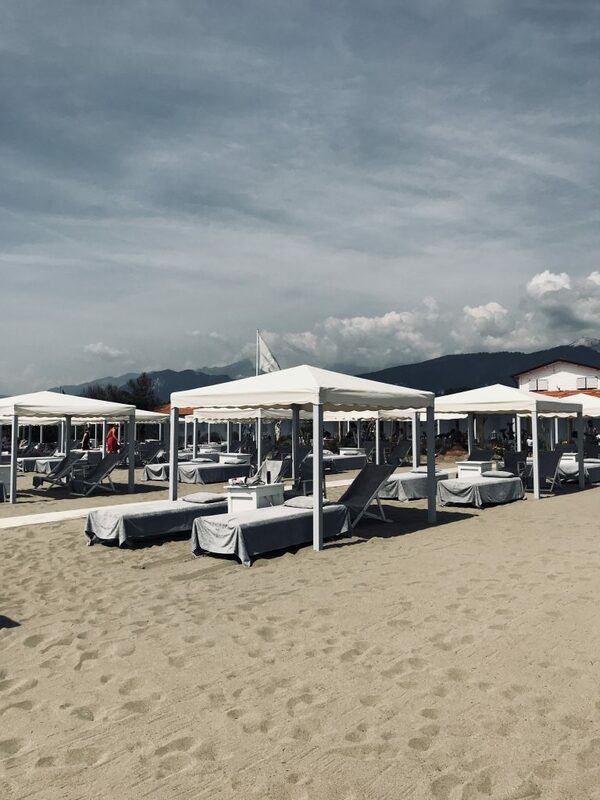 I had probably one of the best meals of my life at a beach club called Alpemare. Just simple fresh fish with potatoes and vegetables but it was insanely good. I remember last year coming back from Puglia and I was SO disappointed with the food. I literally didn’t eat a single meal where I thought it was truly amazing. I was a bit surprised because I had heard that the food was delicious so maybe we were just unlucky. But every meal we had in Forte was incredible. I should probably work for their tourist board I am just the biggest fan. Where did we stay? In a hotel called The Byron (its an SLH hotel which I always trust – linked here.) A friend recommended it to me she used to always stay as a child. It is 5 star but again super old school – not flashy and definitely not modern. Simple but it is in a great location and has a Michelin Star restaurant so you are guaranteed good food there too. The staff were fabulous too. From the hotel you simply cross the road to get to the beach and the hotel give you bikes for your stay. 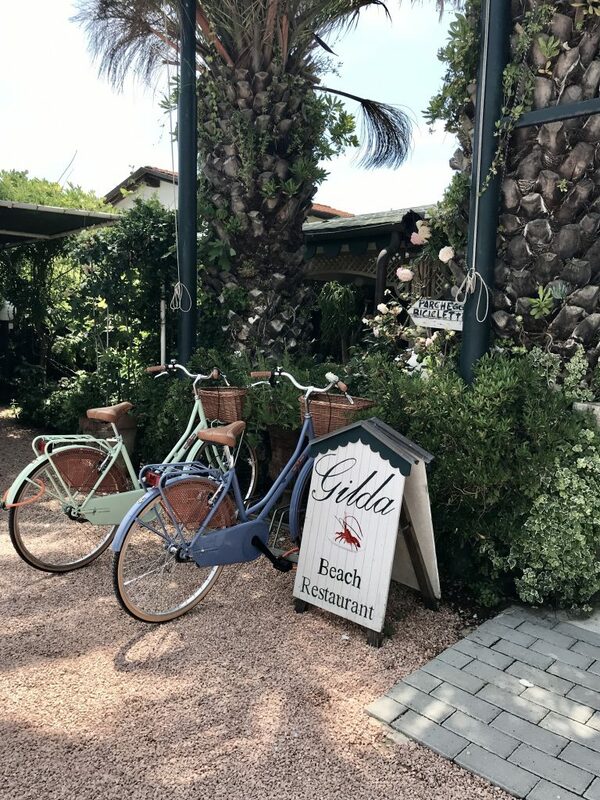 But I heard Villa Gilda is amazing (the pics look so beautiful and love the interiors) as well as Principe which is also amazing for drinks apparently. Someone also suggested Il Bottacio – a former oil mill transformed into a beautiful hotel. What were my favourite beach clubs and restaurants? I was recommended SO many but we ate dinner at Tre Stelle – they have a wonderful outside space as well as Bocconcino (super chilled pizzeria.) A few of you recommended Pesce Baracca which I personally didn’t love (sorry but I like to be honest! )- the food was quite good but didn’t love the vibe (but apparently one side is a proper restaurant and the other is street type food – and I think we went to the latter!) Other suggestions included Apogea, Gilda for dinner (we went to the beach club and for lunch and I LOVED it but apparently great for dinner too! ), Lorenzo (don’t think it has outside seating though) and The Fratellinis. And the shopping? Well for once (shock horror I know!) I didn’t shop at all! But all the Italian mega brands such as Gucci and Miu Miu have their own stores in the town centre and I was also told that Fiacchini Boutique is great. The one store I REALLY wanted to go to but it was shut on the day I tried was Loretta Caponi – they have some really cute dresses!